The good thing of being a blogger is reading other blogs, doing research and fall in love with gorgeous things other people make around the globe. 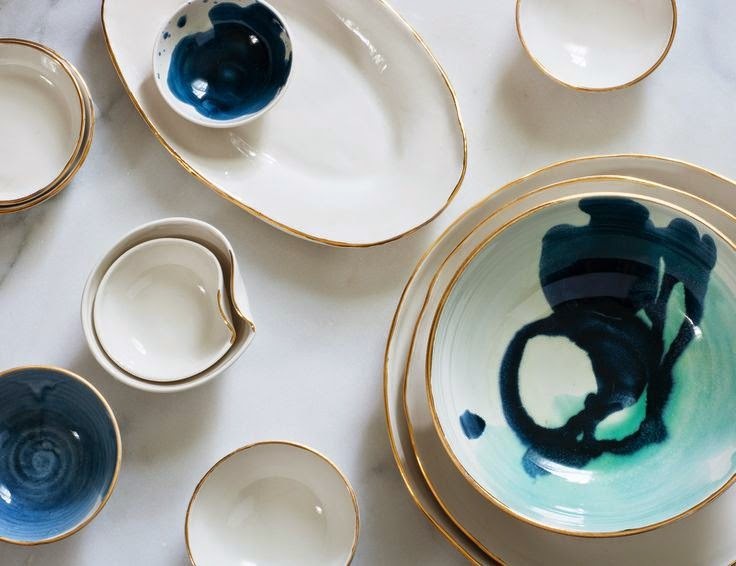 For example reading Holly Beckers blog decor8, I saw she posted about these insanely pretty bowls and plates from Suite One Studio. 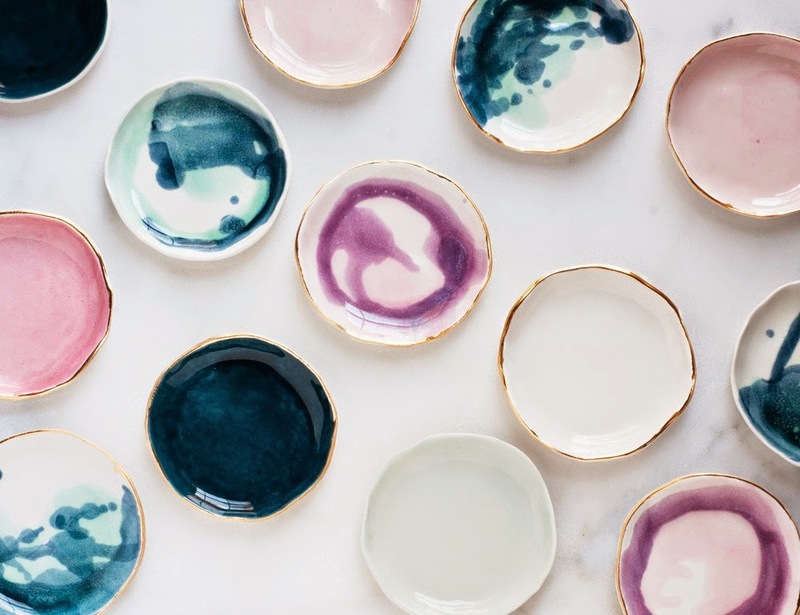 White bowls with gold details make my heart skip a beat, and then those that have paintbrush strokes that look like little paintings just amazing. I do agree with Holly as she mentions that we have to support small businesses! To contribute to this I buy many of my things from Etsy, mostly handmade items and vintage goods. Many of these sellers are one person -or small businesses, people that started their dream making the things they love. And what is there not to love to own a one of a kind item made with love! what a great article! I too am a recent blogger and beauty is one of my sections that I share with the world. Nice, I just wanted to say thank you for post this blog! I am utterly furious about this and blogger are doing nothing to take the site down. Follow for follow? If yes, follow me on GFC and let me know in comments. I will follow back as soon as I see it. This type of services is less costly as compared to the other where the girls need to travel for delivering the services to clients.